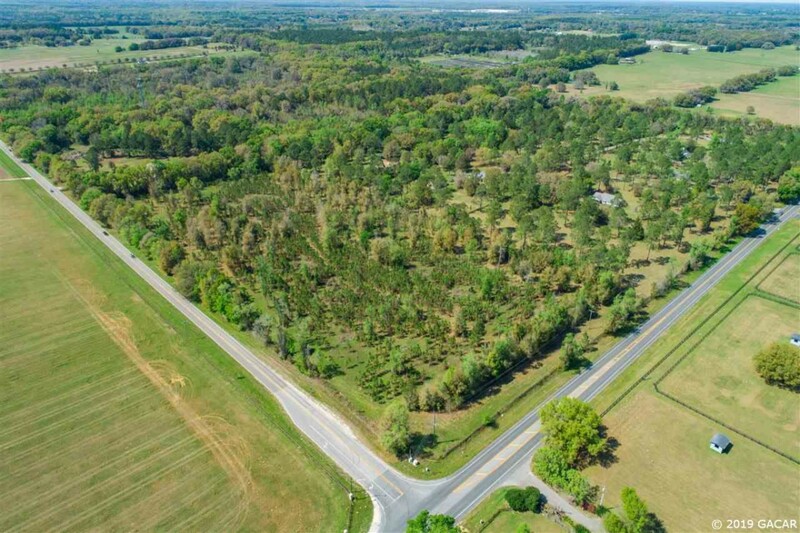 Bring your horses and build your dream home on the rolling hills of this gated 15 acre lot with mixture of pasture, live oaks and pines. Wake up to beautiful Sunrises, and enjoy vibrant Sunsets on a lot that features, pastures, pines, and hard woods. Completely fenced and located on the corner of Hwy 241 (NW 143rd St.) and NW 78th Ave (HWY 232). Property overlooks the UF Foundation's legacy property that is designated as conservation area. Live the country life style, and enjoy the easy commute to Gainesville with it being minutes away from scenic Millhopper Rd., 39th Ave, and I-75. You are less than 15 minutes away from Shopping and Dining in Jonesville and Tioga Town Center. Centrally located, hop on your Harley and enjoy an easy ride through the rolling country roads that connect you to the friendly country towns of Alachua, High Springs, and Newberry. This land is currently Ag Exempt, and can be subdivided into (3) 5 acre parcels with no deed restrictions. Whether you are looking for land for your private estate, horses, or want to create the next Estate Community.